ATTENTION: LOCATION HAS BEEN CHANGED TO CHEROKEE TOWN CLUB! 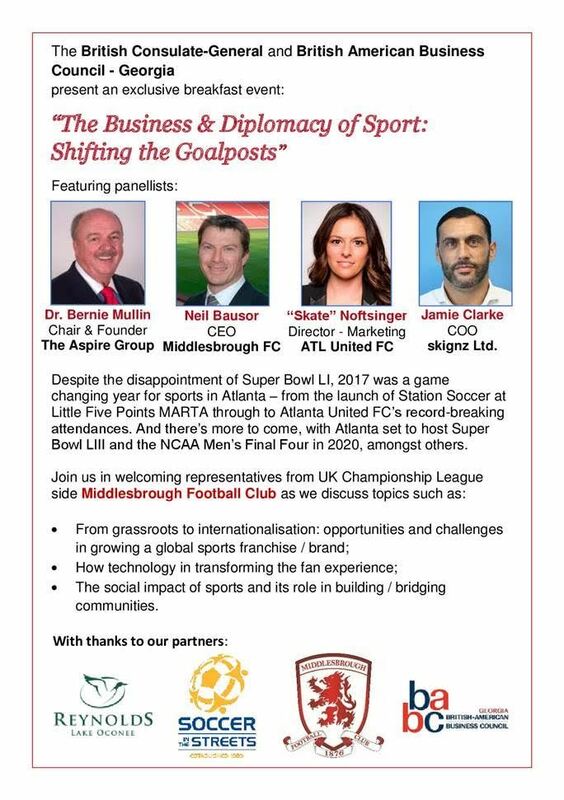 On Tuesday, 5th December the British Consulate--General will welcome representatives from Middlesbrough Football Club to Atlanta. 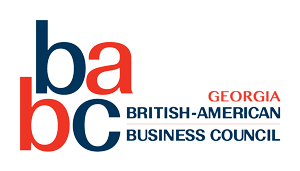 To mark their visit, we’ve lined up a fantastic panel of experts from both sides of the Atlantic for an interactive debate on some of the key factors changing the business of sport. In addition to an auction to win an amazing stay at the new British-inspired sporting grounds at Reynolds Lake Oconee, all proceeds from the event will benefit the life changing not-for-profit Soccer in the Streets. Please join us for this fun and informative networker. Registration is available through the following link: https://www.eventbrite.com/e/the-business-diplomacy-of-sport-shifting-the-goalposts-registration-40715860234 and space is limited.